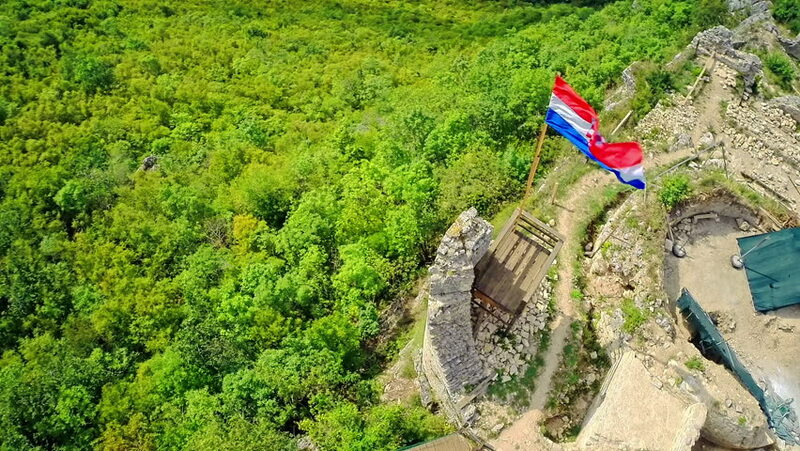 Copter aerial view of the Croatian flag on archaeological remains of the Fort Necven medieval Croatian fortress from the 14th century. 4k00:15Flying above competitive quad bikers driving in a desert. Skyline aerial view of young men riding atv bikes over sand dunes in Cappadocia,Turkey. Race in difficult conditions on the offroad top view. hd00:21River with kayaker and people by boats. Rafting team, aerial.